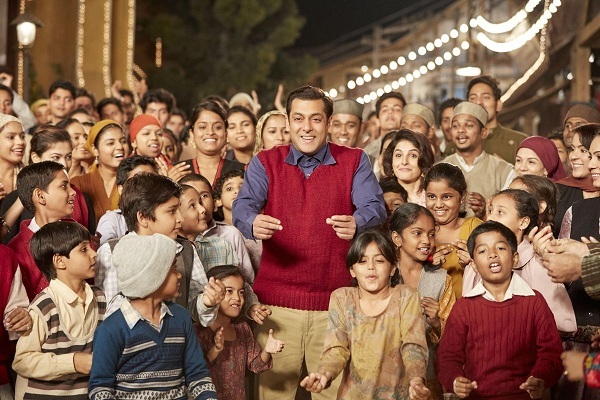 Tubelight Third Day + First Weekend Box Office Collection Reported. Limited Jump. Tubelight had a very limited jump on Sunday (3rd day) at box office. Thus, it ensures that film is not trending well and might face issues starting with Tuesday onwards. Film has collected around 22.45 crore nett on day 3. Our early estimates suggested that film might collect in the region of 23-24 crore nett. However, film failed to show necessary significant jump in Night shows of Sunday. Tubelight 1st weekend total now stands at approx 64.75 crore nett. Film should collect decent on Monday (4th day) as EID holiday is there for taking. However, film might struggle after that. Tubelight will cross 100 crore nett because of benefit of EID Holiday. Question is how much more it will add after that. Picture will be very much clear after the result of 2nd Friday. Friday - 21.15 crore nett. Saturday - 21.15 crore nett. Sunday - 22.45 crore nett. Total - 64.75 crore nett (approx). lagta hai SRK kai kismat main 300crore nahi hai socha salman kai sath film karegay toh mera bhi naam 300 crore kai club main shamil hojayega. koi nhi sari collection ki kasar tiger zinda hai..me nikal ayegi...salman is back in action..now..tzh will create history ..